Giving you the assurance that we are the right team to take your DevOps journey with. Build and manage innovative, scalable and agile AWS cloud based solutions. From thought leadership and consultancy; to improving processes, automating builds and deployments; to on-going proactive management, monitoring and support. We are disruptive thinkers who work with organisations as one team, so together you can develop the right solutions for your business problem or goal. 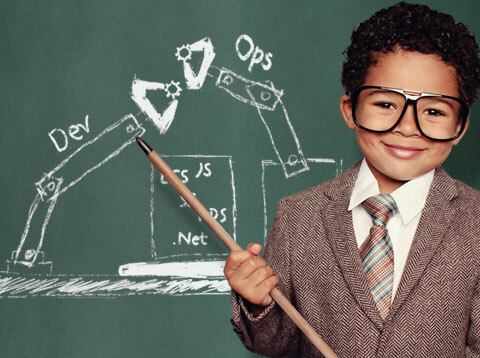 We specialise in DevOps as a Service. Working closely together our skills in cloud technology, operations, process and tools will make your operations faster, leaner & agile. Our approach is to focus on innovating the infrastructure technology and processes. We build the baseline that encourages repeatability and growth giving you a jumpstart in taking advantage of AWS with repeatability and assurance that Production deployments will work every time. We minimize risk and meet security and compliance obligations of PCI and GDPR, balancing the appropriate cost and time needs to enable your business to protect its and your customer assets. Our approach is a ground up approach, starting from Development, logging events from your CI process and propagating security all the way up to Production. Our approach to Security is about maintaining a known state at all times and acting once it becomes unknown. We manage your Cloud operations on AWS. Taking advantage of our experience and DevOps processes, we migrate and provide your team the 24/7 support they require to stay ahead. Our approach is to work with your team to design the architecture and processes so that we have consistent and secure system reliability. Hear from our customers as they talk about their journey with DevOps and how base2Services helped them. 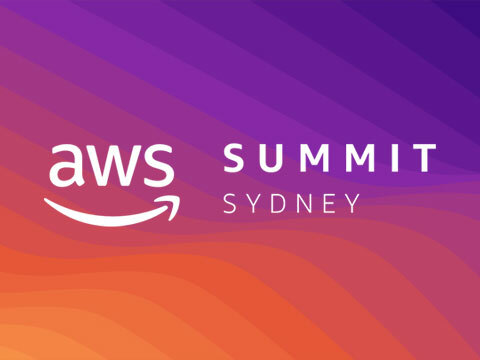 base2Services is pleased to announce that once again we will be sponsoring Amazon's AWS Summit in Sydney this year. Organisations should be thinking about automation often and optimising their pipelines to match their circumstances. If your organisation is on this journey, there are some important questions you should ask to determine what level and types of automation make sense for your business. "base2 has been a long-term partner for us at EMV as we have developed new solutions and innovative ways of looking at providing software to communities. They have been a strong partner throughout our journey, providing a lot of feedback and advice as well as ongoing infrastructure support. And we have leaned very heavily on their expertise, both during the initial design and conception of these new systems as well as while we rolled them out into production." "It was about expertise, not cost. We felt they could help us achieve real results. Our partnership gives us the deep confidence base2 understands this space, and they’re so proactive." "base2Services weren't just a formula, they weren't just a contract. They actually wanted a relationship and wanted to make sure that our products were successful." "I believe base2Services was instrumental in the success of the project. In particular, their expertise and experience on the AWS platform, their proactive and dedicated people and their flexible service model contributed greatly to the success of the project. They also shared their knowledge and upskilled our own team and that of our other partners"
"We went to market looking for a partner that would understand us and be a true partner. And that was one of the cornerstone decisions in selecting base2 to work with us on this journey." "You guys are amazing! The best decision we ever made for our DevOps was getting base2Services. We at Sardius appreciate the time and cost that you have saved us." "Working with base2 we have developed a solid platform that enables us to launch new verticals to market in considerably less time than it traditionally would." "We've got some great opportunities ahead of us. They're all global opportunities and base2Services will be alongside us on the journey." "base2Services did an amazing job delivering the integration services with my team, with ServiceNow and ETADirect. The ongoing support they provide is highly regarded across my team and Business leaders." "The migration was smooth. The insights and experience from the base2 team really showed and we went live without any issues. We are now achieving one of the fastest site load times across the e-commerce landscape, of under 2 seconds."